E Screen with KOOLBLACK™ Technology! Did you know that 50% of a buildings total energy consumption is used for heating & cooling? Today, in honour of Earth Day, we continue our focus on energy saving fabrics by focusing on Elite’s E Screen fabric with KOOLBLACK™ Technology. With the weather finally changing to a more comfortable temperature, we can’t help but feel that the impending summer will rival our Canadian winter. How do we prepare for the hot, humid days of summer? We get the shorts, tanks, swimsuits and sunblock ready of course. Unfortunately, window coverings are not quite as easy as our wardrobes to switch over. When fitted with appropriate blinds, your windows can be part of the solution to help battle the cost of energy and assist with keeping living and working spaces cool. So now we find ourselves asking, what is the right choice for my windows? KOOLBLACK™ Technology increases the energy efficiency of dark solar shade fabrics to the levels comparable with light colors. Only dark solar shades with KOOLBLACK™ Technology provides exceptional glare control, clear and crisp view through to outside and elegant streetside aesthetics while reducing heat. E Screen with KOOLBLACK™ Technology will also improve your heat control and increase your energy savings. How you ask? E Screen with KOOLBLACK™ Technology incorporates reflective properties into dark colour screen fabrics with its patented technology that enhances dark coloured yarn’s energy reflectivity by increasing its near infrared reflection (NIR). Now you are probably asking what does that mean? Well, we are glad you asked. 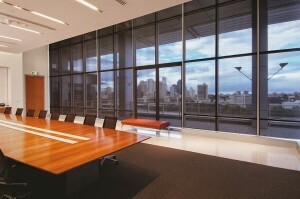 More simply put, while conventional dark screen fabric provides superior view through and exceptional glare control, they still absorb the energy that is created by near infrared wavelength (the cause of solar heat gain – think of a burger under a heat lamp). KOOLBLACK™ Technology still provides superior view through and exceptional glare control, but it also enables the fabric to reflect more solar heat of the NIR spectrum and therefore absorb less energy. What does this mean for you? Well, this means that KOOLBLACK™ Technology is cooler at the window and for the room. Ultimately, E Screen with KOOLBLACK™ Technology will reduce the temperature and your cooling costs, improve your comfort and provide energy savings. Automating and integrating your shades with a home or building’s automation system can save even more on energy costs, as your shades can respond dynamically to changes in sunlight conditions. The technical information: E Screen with KOOLBLACK™ Technology is Öko-Tex and Greenguard certified. It is RoHS compliant (Lead-Free) and Bacteria and Fungal Resistent according to ASTM G21 and ASTM E2180. 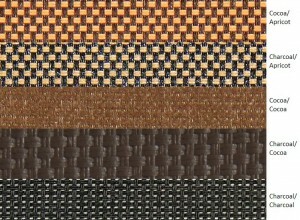 This fabric is also flame retardant with NFPA 701-10 TM#1, California U.S. Title 19 classification. Stay Tuned: there’s more product information headed your way!